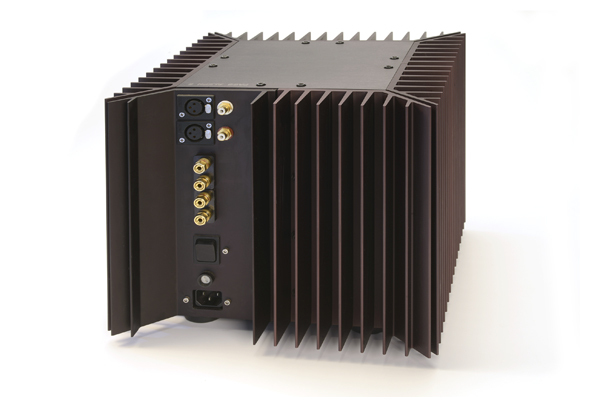 The Aleph 5 amplifier probably won’t win any beauty contests. 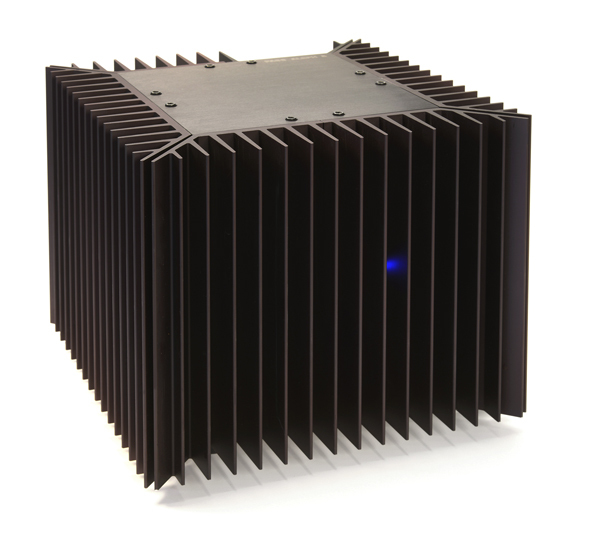 It’s a basic black cube surrounded by heat sinks, and the only indication that it’s operating (aside from its temperature after it’s been on for a while) is a single blue LED. This retired model is a far cry from what you could purchase from Pass Labs today. I suppose the nearest amp in the current Pass lineup is the comparatively gorgeous XA60.5 monoblock. 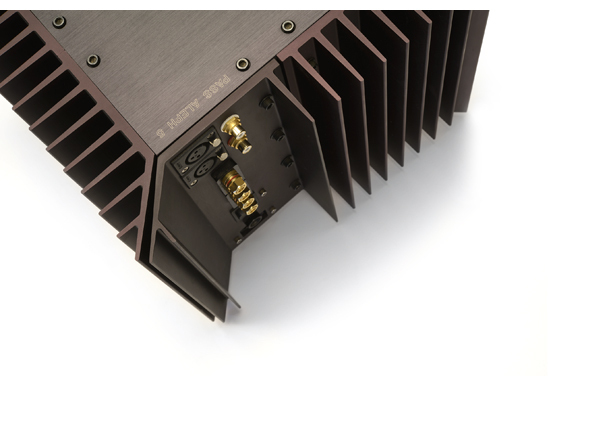 Both the 60.5 and its forebear deliver 60 watts per channel of pure Class A power into 8 ohms. 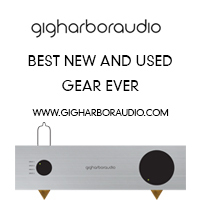 But isn’t the older model just what angry audiophiles clamor for? Internet forums are filled with people bashing high-end audio companies for making beautiful-looking amplifiers with expensive casework. “I don’t want to pay for all that. 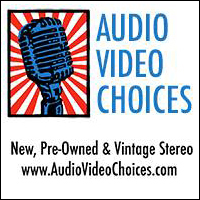 I just want good sound—and it want it cheap.” Well, Mr. Audio Curmudgeon, step right up. The Pass Aleph 5 is the perfect amp for you. I honestly can’t think of a single person who has done more to probe the limits of solid-state amplification than Mr. Nelson Pass. Since the inception of Threshold Corporation back in the 1970s, he’s been on a continual quest to perfect the art and science of solid-state amplifiers. 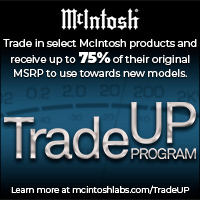 Threshold was one of the first companies (if not the first) to manufacture a truly refined solid-state amplifier. The company quickly rose to the top of the heap with pure Class A amplifiers like the 400A, as well as with its various patented Stasis designs. Threshold products were built with care, looked good and sounded great. After Pass retired from Threshold, he rethought amplifier design—and the seeds for Pass Labs were sown. In 1991, he released the first Aleph product, the Aleph 0, to widespread acclaim. This and subsequent Aleph models were unusual looking, but they won the press and dealers over by virtue of their outstanding sound quality. I remember visiting a number of high-end retailers in the ’90s and seeing these Aleph products on display while sales people raved about the sound. The subject of this column is the Aleph 5, which is a single-ended Class A effort that succeeds on virtually every level. The design brief for this product is as ambitious as I’ve ever seen for an amplifier design. The output section is a patented design, which is exceptional for its simplicity in that there are only two gain stages. Typical solid-state designs have four or five gain stages. Remember, every stage takes a toll on sound quality. The Aleph 60 offers absolutely no adjustments, and neither bias nor DC offset can go out of whack unless something catastrophic happens—hardly likely given the robust character of the amp’s power supply, which uses a 600-watt toroidal transformer and filter capacitance totaling 120,000 uF. This is a robust amp indeed. And for such a compact cube, it’s quite heavy. Hooking up the Aleph 5 is easy. The back panel features the AC input socket, the on/off switch and a set of gold-plated binding posts, plus single-ended RCA and balanced XLR inputs. I chose to run the amp balanced throughout my listening sessions. One word of caution: this amplifier runs HOT! Give it plenty of ventilation and breathing room. Pass recommends that, if you have one of these or happen upon one that hasn’t been looked over by either the factory or a good technician, you do so in short order. Thankfully, Pass offers full support for all Aleph products. After giving the amp about an hour of warm-up time, I play my usual compilation discs just to make sure that everything is operating as it should. It quickly becomes apparent that, following the warm up, this amplifier gets to the music’s essence without delay. I find myself with a total lack of “yeah, buts” as I go through the initial listening phase. Every selection I play has a harmonic integrity and an overall richness of character that reminds me of the better tube amps I’ve heard. However, there is a level of grip in the low bass and a linearity in the mud bass (my phrase) that a lot to tube amps just can’t correctly handle. The Aleph 5 also exhibits the vaunted midrange bloom that tube amps are noted for, but it does so with a bit more speed and gusto. The high-frequency region is smooth yet offers as much detail as one could possibly want. As I listen at length, all of my audiophile selections sound fabulous and have air and space, as well as wonderful bass and shimmering highs. But these recordings bore the heck out of me, and so I quickly realize that I need to take off the audiophile hat and start enjoying myself. This amplifier basically says to me, “Stop analyzing and start with the head bobbing,” which is not to imply that the amp exhibits any kind of coloration; it simply makes music. This should be a fun hobby, right? Since prog and fusion are what pushes my buttons the hardest, that is the sonic sea upon which I eventually set sail. First up is the DVD-A recording of King Crimson’s album Red. This is the best version I’ve heard of this masterpiece and, with the Aleph 60 in play, I’m able to hear Bill Bruford’s unique snare drum tuning with all of its dynamic punch. On the live selection “Providence,” John Wetton’s signature bass sound is captured intact. The same goes for the self-titled first album from Emerson, Lake & Palmer. The big, fat and tactile Hammond organ is right there in all its majestic fullness. I’m a big fan of moe., and so I thoroughly enjoy the band’s album The Conch. On “Wind It Up,” the interplay of the two guitar soloists is especially revealing in that it shows not only the style of playing but also the slightly different sound each player pours out. One of the most under-appreciated guitar players out there today is Derek Trucks. I honestly don’t know why. I’ve followed him for quite a while and he keeps getting better and better. My favorite album by him is Songlines, which is a fascinating collection of excellent compositions. It’s not the greatest recording, but with the Aleph 5 delivering the music, who cares? Every bass line, every cymbal crash and every biting staccato guitar run is perfectly portrayed. Just as I finish up my time with the Pass, the newly reissued version of Freddie Hubbard’s Red Clay LP shows up on my doorstep, giving me a chance to fire up the turntable and feed the Aleph 60 some analog goodness. The track “Delphia” never sounded so good as it sounds here. I’m especially pleased with the way the Aleph presents Lenny White’s cymbal work, which is sweet and detailed. In the same package as Hubbard’s album is Rory Gallagher’s self-titled album, his first after his time with the band Taste. I push the Aleph 5’s limit with some of the songs on this record. Here, and only here, the lone shortcoming of the Aleph 5 shows up: The amplifier clips—but I’m encouraged by the fact that it doesn’t fall apart. Rather, it behaves like a tube amp in that it becomes soft and compressed instead of ragged and distorted. This is something I could live with long term. As my speakers have a sensitivity of 90 dB and as I have a relatively large room, the Aleph 5 is sufficient for 95 percent of my listening. However, if your speakers are in the 84- to 87-dB range and you listen loudly in a large room, some extended demo sessions should be in order before purchasing this amp, which listed for $3,800 about a decade ago. 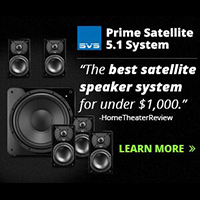 This review may sound decidedly non-audiophile to you—which it is. I don’t waste much time trying to deconstruct every small nuance of the various recordings I play through this amp, because it sounds so compelling that I forget about all of that analytical nonsense. Every once in a while, you’ll stumble upon a product that at first seems unlikely to turn your crank. The Pass Aleph 5 is just one of those products. It’s not going to win any beauty contests, but it’s technically sophisticated and thoroughly accomplished.